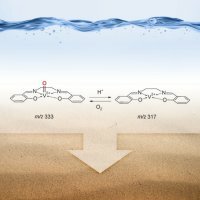 Results: A vanadium-based catalyst's effectiveness in acidic liquids can be mimicked on a solid, less-toxic surface, thanks to scientists at Pacific Northwest National Laboratory, Purdue University, and National Dong Hwa University in Taiwan. The team used an ion soft landing technique to gently deposit catalytic and acidic molecules on a tailored, "dry" surface. This new material drives the reaction in a similar fashion to the liquid-phase version, and it is better in one significant way: the catalyst is on a solid surface, making it easy to separate from the remaining reactants and products after the reactions. This avoids expensive post-processing steps. Why it matters: Technologies to turn intermittent power sources into use-any-time sources of energy require fuel cells that use yet-to-be-invented catalysts. In addition, the chemical and petroleum industries crave more efficient catalysts for their reactions. Scientists at PNNL and elsewhere are working to design these efficient, easy-to-separate catalysts. But before the materials can be designed, scientists must understand how catalysts behave at the atomic and molecular levels. "Our soft-landing study provides a fundamental understanding of the phenomena that occur when catalytic molecules are tethered to the surface," said Dr. Grant Johnson, a physical chemist and a Linus Pauling Distinguished Postdoctoral Fellow at PNNL. Methods: Something happens when you tether a molecule to a surface. To understand what happens to certain catalyzing molecules, the scientists began with VVO(salen)+. This is an organometallic catalyst, meaning it has a metal center or active site wrapped in organic molecules. Vanadium was selected as the metal center because of its activity and ease of study. The team generated the catalyst and a nickel-based acid or proton donor, [NiII(salen) + H]+, by electrospray ionization. Then, they used the ion soft-landing apparatus at EMSL to deposit the catalyst and the acid onto a specialized surface. This surface is a thin layer of gold topped with an inert nanometer-thick carbon-fluoride layer. "Ion soft landing enables us to gently deposit a broad range of molecules on surfaces," said Dr. Julia Laskin, a physical chemist and principal investigator at PNNL. "And the soft landing method is selective, meaning that we know exactly what we deposit." They studied the catalyst and acid under ultra-high vacuum. 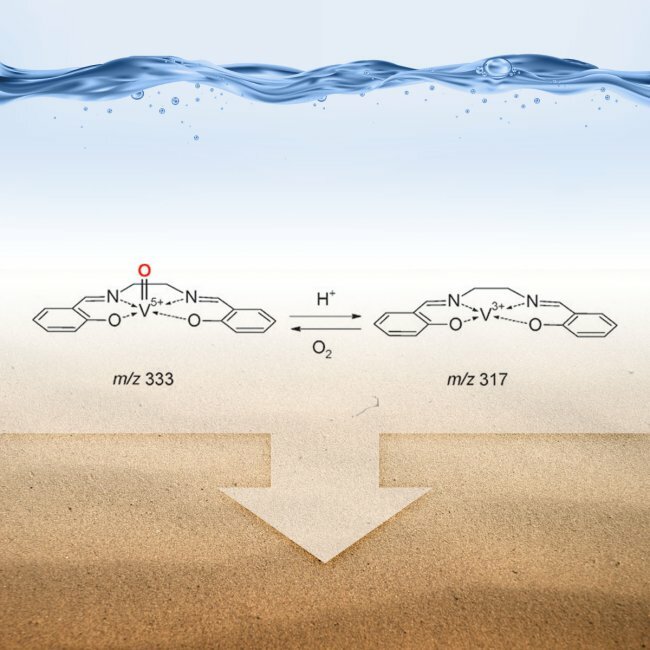 They found that over four days, the vanadium catalyst drove a reaction that combines oxygen and hydrogen, creating water. This reaction is critical to fuel cells. After examining the results, the researchers decided to see if the reaction occurred when acids other than [NiII(salen) + H]+ were used. It did. They tried the reaction without an acid and found that the catalyst was inactive. The researchers determined that the acid donated a proton to the surface. The proton, in turn, made the catalyst active. "A few years ago, we were watching molecules lose protons when attached to surfaces," said Laskin. "Here, we are seeing that the surface protons induce some very interesting chemistry." What's Next? The researchers are studying larger metal-centered catalysts and catalytically active nanoparticles using the soft landing approach. Acknowledgments: This work was supported by grants from the Chemical Sciences, Geosciences, and Biosciences Division in DOE's Office of Basic Energy Sciences; National Science Council; Laboratory Directed Research and Development funds from PNNL; and the DOE Science Undergraduate Laboratory Internship program at PNNL. The work was performed at DOE's EMSL, a national scientific user facility located at PNNL. The research was done by Wen-Ping Peng of National Dong Hwa University in Taiwan; Grant E. Johnson, Ivy C. Fortmeyer, Peng Wang, Omar Hadjar, and Julia Laskin of Pacific Northwest National Laboratory; and R. Graham Cooks of Purdue University. Like tiny molecular chefs, catalysts take the ingredients or reactants at hand and create the desired products. Some catalysts are very efficient but difficult to separate from the products; others are slower but easily separated. Scientists want to design catalysts having the best of both worlds. Homogeneous catalysts, efficient but difficult to separate, work in the same phase as the molecules they are acting on. That is, a liquid catalyst works on liquid reactants. Homogeneous catalysts are prized for their high selectivity towards a desired product. However, they rack up costs, as they must be painstakingly separated from the products and remaining reactants. Also, these catalysts often reside in liquids with undesirable toxicities. These toxic materials increase the risks to workers and increase the costs of waste disposal.